Normandy Animal Hospital - We Care for All Animals! For after-hours emergencies or additional Saturday hours, give us a call or visit us at 7626 Florissant Rd. St. Louis, MO 63121. 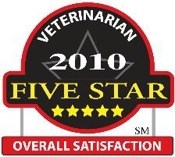 Normandy Animal Hospital staff will work with you to schedule an appointment.